The University of Alabama is an unexpected standout in the science research marketplace. This campus ranks among the top in the nation, flanking closely with the top NIH funded universities, and yet there is surprisingly little sales rep traffic on campus. Last year exhibitors took the opportunity to step in and make an impact on this market by exhibiting and networking with 336 researchers at Biotechnology Calendar's 12th Annual BioResearch Product Faire™ Event at UAB. This year the event will take place on November 1st. 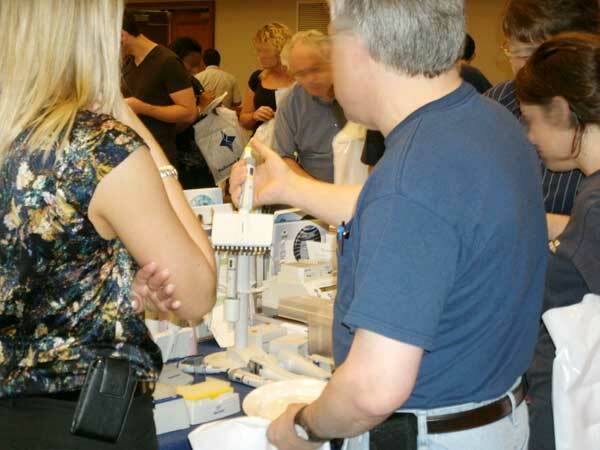 Follow the link to get more show stats and photos for the Birmingham BioResearch Product Faire Event! The University of Alabama at Birmingham has been a leader in pioneering clinical trials in the treatment of neurofibromatosis 1 and 2 and schwannomatosis. The University has been awarded a $7 million research grant to continue its leadership in researching these rare genetic diseases. Read more about these developments and other Alabama research market news. We have room for you at the UAB show in November, if you would like to join us there you can reserve a space online.